I maintain a Dropbox folder that I use to share files with a select group of friends. I've tried to explain how Dropbox works to these people but someone invariably drags all the files out of the folder, which means they’re no longer available to the rest of us. Is there some way to prevent files from being removed by someone who doesn’t understand the difference between “copy” and “move”? I sympathize. Dropbox is a great way to share files but far too many people don’t understand that when you drag files out of a shared folder, they’re removed from that folder for everyone who has a stake in it. I can offer a couple of ideas—one social and the other technical. The social idea is to issue yet one reminder to those sharing the folder that they must copy the files, not move them. I tell Mac users to select the files they want and, while dragging the files to another location on their Mac, hold down the Option key. This makes a copy of the files. For Windows users, hold down the Control key and drag. But people forget. And because they do, I additionally create a new folder within this shared folder and call it PLEASE *COPY* THESE FILES. This acts as a not-so-gentle reminder for those who visit the folder. If you find that some member of this group simply can’t be trained, there’s another way. That way is to revoke their current sharing privileges to the folder and instead share a link to it. Like so. 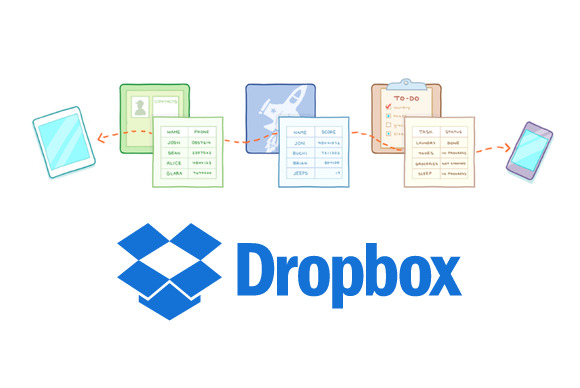 Open the Dropbox folder on your Mac, locate that shared folder, and right-click on it. From the resulting menu choose Share Dropbox Link. A link to the folder will be added to the Mac’s clipboard. Now email this link to those you want to share the folder with. When they double-click on it their default browser will open and present them with the contents of that folder. They can then download anything in it simply by clicking on the items, waiting for that item’s page to load, and then clicking the page's Download button. Alternatively, if they want to download all the folder’s contents they can click on Dropbox’s Tool icon at the top of the page and choose Download as .zip. Everything within the folder will download to their computer. Share a link to a Dropbox folder to give others read-only privileges. The advantage of this scheme is that all items remain in the shared folder. The disadvantage is that others can’t add items to the folder. They can only make copies of its contents. But that brings us back to social. Should someone contact you with a “Please, please, please let me add stuff to that folder! I promise to be good!” you can mark it as a lesson well taught and, hopefully, learned.